I reached the end of my rope with the Star-Ledger Editorial Board and its chief, Tom Moran, a long time ago. 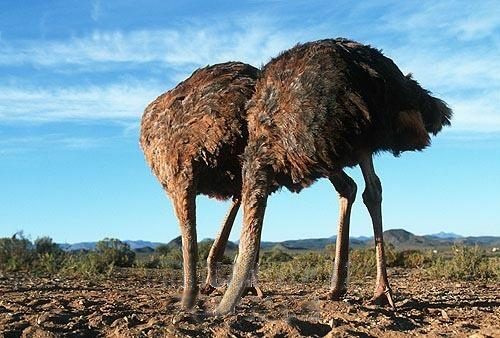 When it comes to education -- particularly in Newark -- both the paper's unsigned editorials and Moran's columns have displayed massive ignorance. Frankly, I'm tired of having to address their nonsense when it's clear that Moran and his board lack the journalistic integrity to engage in good faith arguments about the schools in a city their publishing company has abandoned. The sheer chutzpah of a newspaper that is abandoning the city to leave behind a “Dear John” letter that essentially supports the denial of civil and human rights to its people–rights enjoyed by New Jersey’s predominantly white suburban population–is breathtaking. The S-L mentions the "critics" of One Newark who have filed a civil rights complaint -- but slickly chooses not to tell us who these critics are. As the paper itself reported, these aren't "people whose jobs depended on the school infrastructure"; the lawsuit is being filed by Newark's parents. Quite correctly, these parents have pointed out that the charterization of the district and the "renewal" of several schools disproportionately affects black students (it also disproportionately affects black teachers). When Bruce Baker and I pointed this out, the district published a response to our methods (a rather weak and innumerate response); what they didn't address, however, was our claim that the plan's effects are racial biased. Had Moran bothered to read Joseph Oluwole's excellent legal analysis in our brief about Newark's teachers, he would have learned that the issue of whether this plan deliberately discriminates against black families is, to a large extent, irrelevant: the plan can be challenged under a claim of disparate impact. Further, had Moran bothered to read Bruce, Joseph, and Preston Green's article in the Emory Law Journal, he would have learned that moving students to charter schools abrogates the due process and other rights of families. Charter schools are not state actors and do not have to adhere to the same standards of transparency and accountability as public schools. In Newark, this discriminatory situation is compounded by the fact that the parents have no say in how the district is run, and haven't had a say for 20 years. - "By creating a universal enrollment program, she [Anderson] is making sure that charter schools don’t cater to the most advantaged students." Except that the One Newark application uses a school ratings system that is utterly bogus, mislabeling effective schools as "Falling Behind" and schools that perform below prediction as "Great." Further, there is no guarantee the charters will take on a proportionate share of at-risk students and students with greater special education needs. - "Not a single school in Newark is being permanently closed." Sorry, but when you turn a school over to private governance, or substantially change its mission, you are, in effect, closing it. - "Several failing schools will be gradually transferred to the management of high-performing charters, including TEAM and North Star, in communities where parents demanded better quality options." As the parent lawsuit shows, what parents really want are well-resourced public schools responsive to the demands of the community; under 20 years of state administration, that simply hasn't happened, and Chris Christie has only made maters worse. And we've been over the TEAM and North Star thing a million times now: they don't serve the same populations of students, and their attrition rates are high -- North Star's appallingly so. It's astonishing that Moran can't grasp this simple concept. - "In the largely black South Ward, families have long been voting with their feet — 40 percent are signed up on charter school waiting lists." It's clear the charter school wait list statistics have been artificially pumped up. But even if they weren't, why would anyone be surprised that parents want to get their children out of crumbling, dangerous, overcrowded schools? How can public schools compete with charters when they are inadequately funded; when they must serve every student, no matter how expensive; and when educational tourists like Christie and Anderson create a culture of constant disruption and chaos within them? So where is the civil rights violation? Is there a failing school in Newark with a high percentage of white students that remains unaffected by Anderson’s plan? 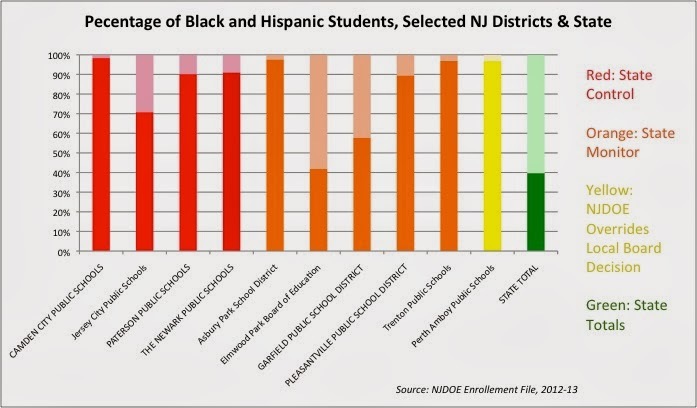 As Moran knows, the white student population of NPS is quite small: there isn't any school in Newark that has a "high percentage of white students." The question is whether black students are disproportionately affected compared to other students -- largely Hispanic -- in the district. Without question, they are. Further, and far more importantly: why don't Newark's parents have any say in the governance of their children's schools? 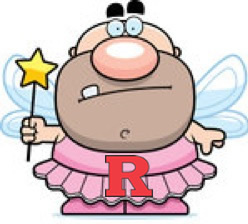 Why weren't parents -- and, for that matter, all of the hard-working taxpayers of Newark -- allowed to decide for themselves what sort of school system they want, and who they want running it? Why is "voting with your feet" good enough for people of color, but voting with your vote is reserved only for school districts with majority white populations? This is an ugly truth Moran does not care to address. He'd rather throw his support behind plutocrats like Chris Christie, because slamming teachers unions is more important than standing up for the rights of parents and children in distressed communities like Newark. He'd rather argue that "choice" is the same as democracy, when he knows full well that no suburban community would ever replace representative school boards with charter school expansion. He'd rather convince himself that opening a few more charters and firing a few more teachers is the solution for Newark's educational woes. And so Tom Moran and his dying newspaper continue to live in ignorance. How sad. Remember Chris Christie's big idea from this past winter? He was going to lengthen the school day and the school year. It was urgent that we do this immediately: "This is a key step to improve student outcomes and boost our competitiveness. We should do it now." So, how's that going, Governor? A quick aside: as I have pointed out before, Chris Christie is a screaming hypocrite whenever he brings his own children into the debate about education. The Delbarton School -- an elite, high-spending private school where he sent his own sons -- takes a full three months off every summer. Of course, they then offer an extensive (and expensive) summer enrichment program, full of things like sports and SAT prep. I guess that's the sort of thing Christie thinks is "antiquated." That is, of course, utterly absurd. $5 million is next to nothing in a $33 billion budget, and the idea that it could fund a meaningful "pilot" program is beyond laughable. 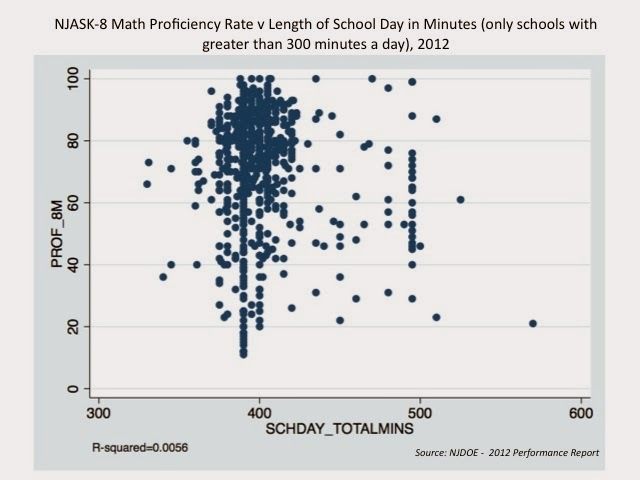 You don't need a test program to know the funding problems inherent in lengthening the school day or school year. People need to be paid to work longer hours: charter schools do it (and make up the difference by largely restricting hiring to young, inexperienced teachers -- which they can get away with because they don't serve the same student populations as the public schools that feed them). You also have to upgrade facilities so children aren't stuck roasting in classrooms without air conditioning in the summer months. Unless, of course, Chris Christie wants to give up his air conditioning in a sign of solidarity. How many of you think that's likely to happen? The truth is that suburban kids have lots of options for summer enrichment, and parents are already concerned that the pace of their lives is too hectic as it is: there just isn't a lot of clamoring for extending the school day or the school year among more affluent families. For children in urban areas who are at an economic disadvantage, it would be obviously be very helpful to give them access to high-quality summer programs. But does anyone think we can meet their needs with a mere $5 million? 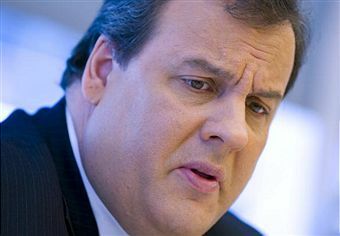 And does anyone think Chris Christie will raise the revenues needed to implement this idea? 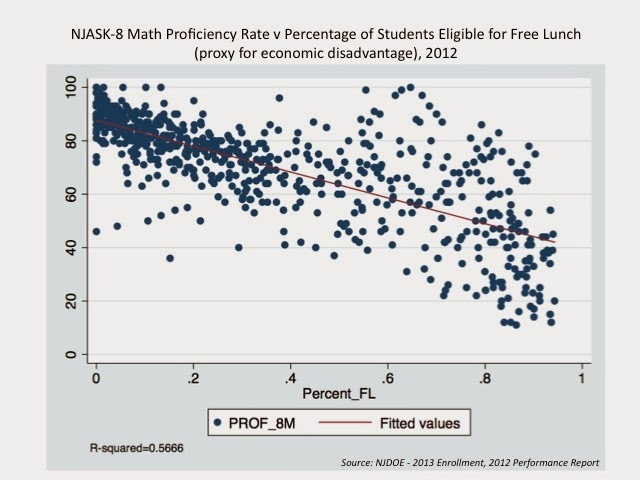 As I wrote back in January, there is a very strong correlation between economic disadvantage and academic achievement. So why did Christie introduce this cynical scheme back in January? Simple: Bridgegate was blowing up, and he needed a distraction. 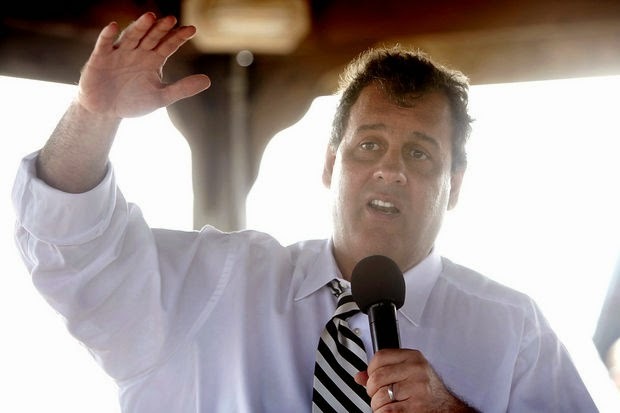 So he did what he always does: Chris Christie played politics with education policy. This was never a serious proposal -- it was a feint, designed to get the editorial pages of the state's newspapers to stop writing about Bridget Kelly and to get the talk radio hosts to stop mentioning David Wildstein. It worked for a bit... but now that's over. Rest assured, the only time you will ever hear Christie mention lengthening the school again is when he thinks he can get political mileage from it. Like every other public policy debate in which he engages, Chris Christie only cares how it affects his ambitions for higher office. Governor, will you give up your air conditioning? PATERSON — By a narrow margin, the Paterson teachers’ union has approved its new labor contracts, but some members question the way the voting was conducted, saying not everyone got a chance to cast a ballot. About 53 percent of the votes were in favor of the two contracts and 47 percent opposed. The union had been without a contract since July 2010. Teachers and other staff members covered by the Paterson Education Association (PEA) originally had been scheduled to vote in person on the contracts last month, while school was still in session. But the union decided to delay the vote, saying members lacked all the information they needed about the proposals. Instead, the voting was held last week and conducted through email and conventional mail because schools were closed, said union president Peter Tirri. The contract for 2011-2014 was passed by a vote of 1,142 to 1,023, while the contract for 2015-2017 was passed 1,142-1025. About 80 percent of the votes were cast electronically and the rest with the United States mail, according to numbers provided by Tirri. Many teachers were unhappy with the new contracts because they did not boost the base pay set up on the salary guide. Union members also said the new contracts undermined the practice of giving extra money to teachers who obtained advanced degrees and that the retroactive pay is less than what they would have received under the old contract. [President of the PEA, Peter] Tirri has said the New Jersey Education Department, which handled negotiations for the state-controlled school district, made unconditional contract demands that the union had little choice but to accept. There are a few things I don't do on this blog, and one is criticize teachers for accepting contracts that pay them far less than they are worth. Like many New Jersey teachers these days, I know what it's like to have to work year after year without a raise while Chris Christie's betrayals on benefits eat up more and more of my take-home pay. The truth is, when you make mid-five figures, a few hundred dollars makes a big difference -- especially in district like Paterson, where teachers have been working without a contract for four years. This is the second recent teachers contract in New Jersey that enshrines merit pay -- a failed education policy that does not improve student achievement. A few years ago, the state insisted on a merit pay scheme in Newark, fueled by the Mark Zuckerberg donation. In its first year, that system has revealed itself as a scam: the state-controled district has paid out far less than it promised in bonuses, and more teachers who opted out of the merit pay pool turned out to be "highly effective" than those who opted in. Starting with the summative evaluations for SY 2013-14 and each year thereafter, a teacher who receives a highly effective rating will advance two steps on the Single Salary Guide for the following year and a teacher who receives an effective rating will advance one step on the Single Salary Guide. For those of you who don't know much about this: a step on a guide is basically a raise. Usually, a teacher moves up one step for each additional year of service, eventually reaching the "top of the guide," or the highest step (a typical contract will have around 15 to 20 steps, but that varies widely). How will the Paterson School District decide which of its teachers are "highly effective" and, consequently, will get an additional bump in pay? This is a critical question, but it isn't addressed within the contract I'm reading. How many teachers will get the bump? Five percent? Ten? One? It seems as if the district can pretty much decide how many teachers will get these extra raises first, then determine how they will distribute the money. If they decide they can't afford the pay raises one year, all they have to do is say, "No one is highly effective," and that's that. And given the arbitrary and capricious nature of New Jersey's teacher evaluation system, it will be easy to rig the results. AchieveNJ (code name: Operation Hindenburg) sets cut points for determining the rating a teacher receives that are based on nothing more than the whims of the state. Given that 80 percent of most teachers' ratings are determined by administrator observations, it's fair to say that the raises in Paterson will be given almost entirely at the discretion of PEA members' superiors. And teachers in tested subjects will now be motivated to lobby their principals for class rosters that help them get higher Student Growth Percentile (SGP) scores. The biases in SGPs at the school level are now well-documented; there's every reason to believe teachers can change their scores by changing the composition of their classes. Now that they have a financial incentive, why would teachers in tested subjects want more special education or at-risk children on their rolls? Tying pay raises to a flawed teacher evaluation system is a very bad idea. I'm not sure Paterson can do anything about it at this point, but every other local in New Jersey needs to understand the dangers involved in allowing the merit pay virus to spread. ADDING: I woud really like to hear from Paterson's teachers about this. Leave your comments below. As I've written before: the phony juxtaposition of the interests of teachers and students is probably the most specious part of the anti-tenure/anti-seniority argument. Yes, tenure is good for teachers -- but it doesn't follow that, a priori, tenure is bad for students. I'd argue, in fact, that tenure helps children and taxpayers at least as much as it helps teachers, because it puts the brakes on corrupt and unethical behaviors from school boards and administrators. The truth is that there are far too many cases of teachers being subject to arbitrary or malicious treatment by their superiors for anyone to conclude that the only effect of tenure is to "protect bad teachers." Contrast that to the evidence presented in the Vergara case, which, contrary to Rolf Treu's ruling, never showed that any of the plaintiffs were harmed by "bad" teachers, let alone "bad" teachers who had been protected by tenure. In addition, as Bruce Baker points out (sadly, in a way that apparently hurt our dear Campbell's delicate feelings), there's no evidence that tenure can in any way be found to be a significant contributor to the distribution of teacher quality either across or within districts. As a matter of logic, why would it? Tenure exists in the 'burbs as well as the cities: you can't attribute any effects to tenure if it isn't the independent variable. What, exactly, does Campbell Brown want? If Brown is saying that the system moves too slowly and costs too much, she won't find much disagreement -- especially from the teachers unions! I've had my doubts about UFT in the past, but even they weren't happy with the "rubber rooms." On my side of the Hudson, the NJEA actually pretty much wrote the fairly successful proposals for the revision of New Jersey's tenure laws that cut down the time and expense of tenure cases. Why wouldn't they? Lengthy tenure cases cost the unions money! It's in everybody's interest, but especially the unions', to make these cases short and inexpensive. Is this what Brown wants? If so, why a lawsuit? New Jersey did it through the legislative process; why can't New York? OK -- well if even our incoherent SecEd agrees that "tenure is not the issue," and that teachers need job protections, what do he and Brown suggest we do? What's the system they propose for granting tenure? Clog up the courts with lawsuits? Campbell, I'd be a lot less inclined to question your motivations if you would just do us all a favor and tell us what it is you want. I went to your website and tried to find a proposal for a system of teacher workplace protections -- it wasn't there. There were, of course, plenty of reformy talking points gussied up with research that show illustrations of the importance of teacher quality. But there wasn't anything that resembled evidence that shows tenure suppresses overall teacher quality, and there wasn't anything even remotely resembling a concrete proposal to "fix" a tenure and seniority system that still hasn't been shown to be a drag in student achievement. If you want to have a serious debate about tenure and seniority, Campbell, the very least you should do is present some sort of alternative system of teacher, student, and taxpayer protections. If you think you can come up with something that will work better than tenure and seniority, by all means let's hear it. But unless and until you do, your complaints are little better than whining. And no teacher worth his or her chalk puts up with that. 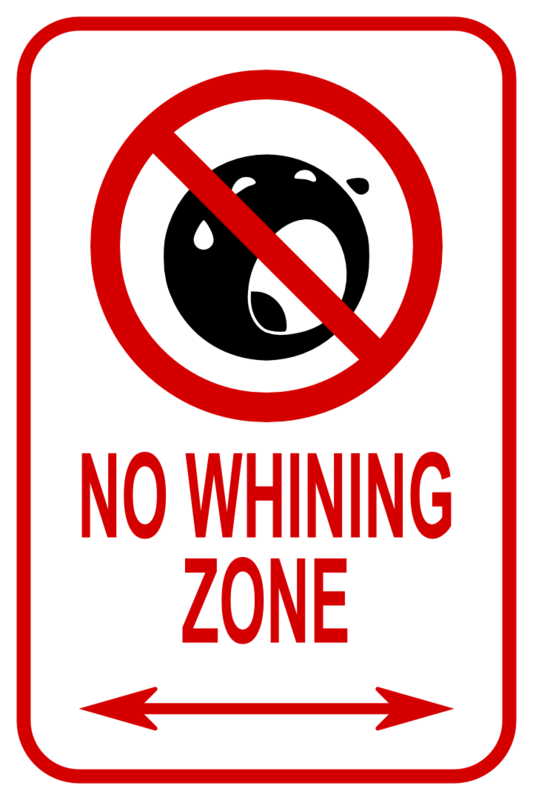 Whining is not a solution. My preferred system is the one we have in New Jersey: tenure, with a cap on the length of hearings and the time arbitrators have to reach decisions. And four years to earn tenure seems about right, although I will be the first to say that length of time is quite arbitrary. Christie's executive order is all the evidence anyone needs that AchieveNJ -- the state's teacher evaluation system -- is built on a foundation of sand. Now, I guess the governor "feels" 10 percent is good for this coming year, but 20 percent will be good afterward. Why? Because he says so, that's why! This is obviously absurd, but it's the inevitable result of a system that uses data not to inform decisions but to compel them. I really have no problem with an administrator using SGPs to help identify teachers in need of remediation, or to help build a case for a high-stakes decision. But when that decision is forced on an administrator, we are heading toward disaster. Just wait until a teacher who would have been deemed "effective" under a 10 percent system is rated "ineffective" under a 20 percent one. There's just no way a judge would ever allow a high-stakes decision based on this madness to stand. But this is what happens when you insist on creating arbitrary cut points that have nothing more than "feelings" to back them up. Which is a policy driven by the ideological belief that an extensive regime of high-stakes testing will lay bare the "truth" about the effectiveness of our schools. Which is a policy driven by the ideological belief that hordes of "bad" teachers are the central problem in today's schools. Which is a policy driven by the ideological belief that schools are fully capable of completely ameliorating the effects of the chronic poverty, crushing inequality, and endemic racism that pervade our society. It uses SGPs to distill test scores into teacher ratings, even though those SGPs are biased and inappropriate measures of teacher effectiveness. It uses teacher practice evaluation tools to create measures that are utterly phony in their precision. It uses SGOs to measure teacher effectiveness in untested subjects, even though there is no evidence whatsoever as to whether SGOs are either valid or reliable. And all of these concerns are separate from the issue of whether the PARCC tests are developmentally appropriate, overly-intrusive, valid, and/or reliable themselves. The decrease in the percentage of a teacher's evaluation attributed to SGPs is a victory of sorts for the unions. But in the larger scheme of things, those percentages are a tangential issue. AchieveNJ is fundamentally, fatally flawed: it is an innumerate, ill-conceived, faith-based initiative that cannot and will not stand up to even the mildest of scrutinies. Monkey with the details all you want: the big problems will not disappear just because the people behind this scheme want them to. ADDING: Ani's got a good point: this nonsense all started with the feds. I suppose NJ didn't have to sign on to Race To The Top, but that doesn't excuse SecEd Duncan and President Obama from their culpability in the spread of the use of high-stakes standardized testing to evaluate teachers. As I've said before, Arne Duncan is the worst appointment Presdient Obama made in either of his terms. It speaks very poorly of Obama -- a man I will say has been the subject of unwarranted criticism on many things -- that he has stood behind Duncan, even though he promotes policies that are antithetical to Obama's own stated views on education. I applaud the NEA, NJEA's affiliate national organization, for calling on Duncan to resign. No one is more responsible for the poorly-reasoned, faith-based education policies of the last few years than the current SecEd. AchieveNJ was conceived under his aegis, and he is, as far as I'm concerned, just as responsible as Chris Christie for the disaster it has become. Following several days of intensive discussion last week, agreement was reached on several key issues related to standardized testing and its ultimate role in teacher evaluation. NJEA was at the center of conversations with legislators, the Christie administration and the Department of Education (DoE), which led to two key announcements today. First, Governor Christie issued an executive order creating a special Study Commission to look into the entire standardized testing environment in New Jersey. Concurrently, the DoE announced major changes in the use of standardized tests over the next two years, reducing their influence over teacher evaluations while the Commission does its work. I'll get to the changes in teacher evaluations later this week: it's a long story and it needs to be told. But I think it's worth taking a minute to acknowledge the creation of this commission to study standardized tests. Because the last time Chris Christie created a panel to study how standardized tests should be used in teacher evaluations, some of the people on that panel were woefully unqualified for the job. As I wrote at the time, appointing any number* of these people (especially Bradford, who is embarrassingly inept when it comes to education policy) while skipping over any representative from the NJEA or any recognized research expert made the task force a bad joke. 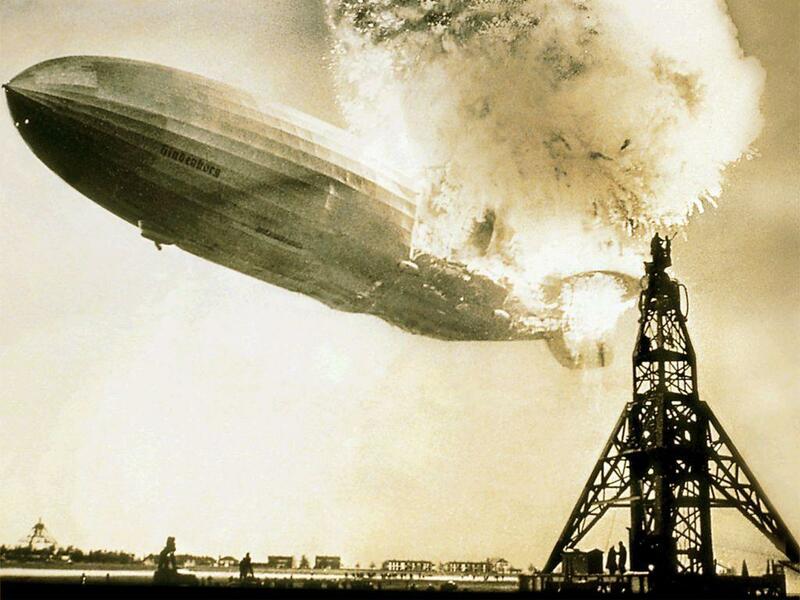 The facile and ill-conceived reports they produced are largely responsible for the mess of a system we used this last year for evaluations (code name: Operation Hindenburg). This time around, NJEA says they will have a seat at the table, which is good. But if other seats are taken up by more lobbyists and private school leaders and political hacks, there's a good chance this commission will be as incapable of meeting its mandates as the last one. At the very least, the commission has got to bring in some panelists to explain the basic flaws that are pervasive throughout AchieveNJ. In other words: this panel has to be able and willing to listen to informed critics of the current system. If we can't have that bare minimum, there's no point in even convening the commission -- it will produce work as bad as the Task Force's report. And that is the last thing our students or our teachers need. Completely avoidable, with the right people investigating. * To be clear: several members were qualified to be on the task force, and I certainly have no problem with non-experts representing the interests of parents, students, and school boards. But Bradford and Fajardo, who ran the ethically questionable Elizabeth BOE, had no business being anywhere near this group. That they were given space while NJEA members and researchers were excluded is simply unforgivable. Now Newark has a new mayor, Ras Baraka, a charismatic politician, a street activist, and until now a high school principal and city councilman. He just beat the dominant machine in Essex County through sheer force of will, on a shoestring budget. He is aggressive, populist, and he owes nothing to the machine. And now he’s promising to turn his convincing win at the polls into a movement. I want to believe in this man, and anyone with half a heart has to want him to succeed. The stakes, quite literally, are life and death. But I worry. Baraka is an admirer of former Mayor Sharpe James, and even lauded him during the inaugural address. “People love him,” Baraka said later. Okay, but James betrayed the people of this city and went to jail on corruption charges. He’s no role model. So Karen Lewis, the hard-nosed leader of Chicago's teachers union, now admits she's interested in running for mayor, backing off earlier declarations of "no way" and telling the Sun-Times that she's "seriously looking" at jumping in. If she is serious — and even Mr. Emanuel finally has learned to take what Ms. Lewis says very seriously — I have some equally serious advice back to her: Be really, really careful, both for the city and for yourself. As Harold Washington would have said, this ain't beanbag. I have no particular love or allegiance for Mr. Emanuel. He's handled a lot of things well but stumbled badly on others. Like all government leaders and, frankly all of us, he does best when he has to look over his back occasionally at snapping competitors. And to the extent you believe the polls, a lot of Chicagoans want to see some competition for him in the Feb. 25 election. His numbers are soft, especially among African-Americans, for whom Mr. Emanuel's former job as chief of staff to President Barack Obama is more and more irrelevant. You can feel that "but..." coming, can't you? I can understand why the president of the Chicago Teachers Union would want the opportunity to get on the big stage and draw attention to her take on why Chicago is headed in the wrong direction under Mr. Emanuel. If nothing else, her running would force aldermanic candidates to pick sides, and maybe result in the election of more independents to the City Council. 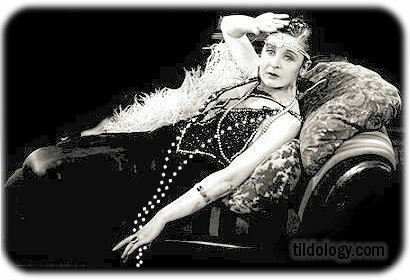 But Ms. Lewis, frankly, needs to dial down her public persona. She's a bright, sophisticated, erudite woman, with a side few voters have seen. But in a public showdown, she almost makes Mr. Emanuel seem tame and restrained, and that's quite a trick. He gets her Irish up, so to speak. I find her too quick to reduce every dispute to racial terms. That's dangerous ground. I also find her proposed solutions to the city's fiscal woes to be far too focused on squeezing the well-off and far too light on growing jobs and the economy. Yes, Greg Hinz really did write, in a column about how Karen Lewis needs to moderate her words on race, that Rahm Emanuel "gets her Irish up." That's a special kind of cluelessness, folks. Then Hinz tries to patronize Lewis, conceding that she is "a bright, sophisticated, erudite woman, with a side few voters have seen". Well, yeah, Hinz. I know this may shock you, but thousands have seen it. She is after all, a SCIENCE TEACHER. Hinz goes on to admit that Lewis, "has done a terrific job in uniting her union, getting a much better deal in the 2012 contract than business reformers wanted." I say admit, because it was just about a year ago when Hinz was dissing the CTU leader for being a poor negotiator and putting the onus on her, rather than on Rahm for the closing of 50 neighborhood schools and for the massive teacher lay-offs that have followed. If Lewis happens to mention every once in a while that the mayor's mass school closings hit hardest on the city's black community, well, that's because they did. If she points out once in a while that the city's ruling elite is made up of mainly white, wealthy men, well, maybe that's because it is. We should thank Greg Hinz and Crain's for tipping the hand of the 1%-ers. Now we know what their angry-black-woman line of attack will be, should Lewis dare to enter the lion's den of mayoral politics. Not bean bag to be sure. 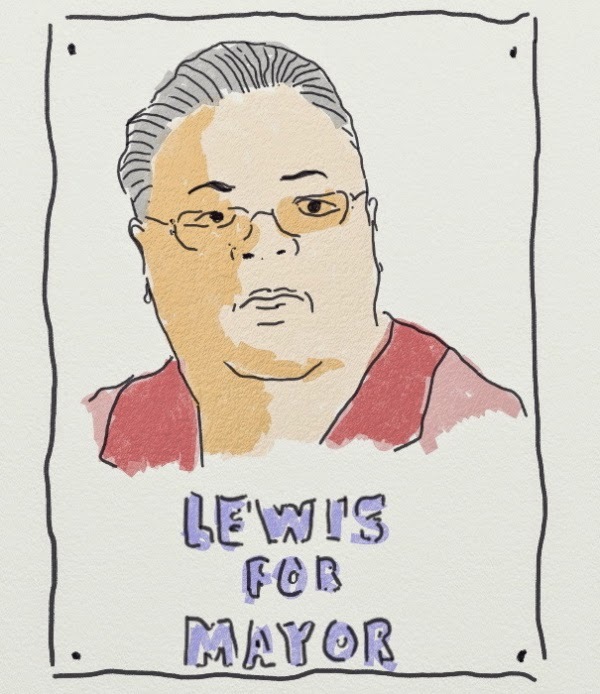 But knowing Karen Lewis, I don't think Hinz's dangerous grounds warning is going to intimidate her or dissuade her from taking on the Little Emperor who now sits unchallenged on the 5th floor of City Hall. Amen. I'd only add that, as we've seen with Ras Baraka, the racial condescension will only get worse if Lewis manages to beat Emanuel. If she wins, Karen Lewis -- just like Ras Baraka -- is certain to endure an entire term of worried white people writing in newspapers and blogs that she needs to "tone it down" and think about "all of her constituents." And that is nothing more than code for saying: "Don't stand up for the people who put you in office because they are fed up with the status quo." Thankfully, I'm sure that Lewis, like Baraka, won't be taking that particularly bad piece of advice. Lewis, of course, has a double-whammy against her: she's also a woman. So if she gets into the race, we're sure to also hear all sorts of fretting that she's just too "hysterical," and we'll get lots of snarky comments about her looks, and most likely the worriers will throw in some of that special ageism leveled at women who dare not to know their place. If the mayoral election were held today, the lightning rod union leader who was the architect behind a 2012 teachers’ strike would beat Emanuel by 9 percentage points in a head-to-head contest, the survey found. Lewis was leading Emanuel 45 percent to 36 percent with 18 percent of the likely voters undecided. Why do I get the sense that this is what worries the worriers more than anything else? ADDING: I try to go back to posts after they're out for a bit, because I'm my own editor and I find that I need to step away from the blog for a bit if I'm going to come back with fresh eyes so I can fix errors. So this go 'round, I was clicking on links and noticed I messed up the "special ageism" link: I had it go to the Hillary Clinton-hysteria piece in Slate again, rather than this post about how the Boston Herald repeatedly calls Senator Elizabeth Warren "Granny." To fix the link, I had to do another search on Warren being called "Granny." I'm not the most PC kinda guy you'll ever meet. I've seen every James Bond movie at least three times. I thought Howard Stern was usually pretty funny (haven't heard him since he moved to satellite). I think It's Always Sunny in Philadelphia is really funny. But this isn't just sexist and ageist -- it's just plain old stupid. Elizabeth Warren, one of the most erudite senators we've had ever, "dresses like the 'before' woman in a beer ad"? She should dress...what? "Hotter"? Less like a senator? Is her fashion sense really that different from Barbara Boxer's? Does anyone care? And then the "after" woman in a beer ad looks like Michelle Obama?! What does that even mean? What's the point? "Elizabeth Warren should be more like a beer spokesmodel... you know, like Michelle Obama"?! That's the joke? Bill Maher got tenure completely wrong earlier this year, but I always thought -- even when I disagreed with him -- that he was a fairly smart guy. I don't watch HBO (no premium cable, no Sirius-XM -- you're quite the cheapskate, Jazzman), so I can't say I've got a particularly well-informed opinion about his comedy, but in interviews and YouTube clips he comes off as snarky but thoughtful. But this is the sort of facile sexism and ageism that really makes my skin crawl. And no, it's not the same as making fun of John Boehner's tan, even though that's also a bit of a cheap shot. But at least his tan is anomalous; Warren's hair and clothing are exactly what we'd expect from a senator. For this, she's ridiculed. Seriously? Fellow old, white guys: we have a lot to contribute to this country and this world. But we've got to start upping our game a little. A little introspection goes a long way. I'm not saying we should be humorless robots; I'm just suggesting we man up a little and think a bit before we speak. It's perfectly fine to make jokes about Elizabeth Warren: she's a powerful person (yes, she is -- she's a United State Senator, for crying out loud), and authority needs to be questioned, and I am very much down with using satire to make hamburgers out of sacred cows. But mocking her for dressing like a mature and serious woman? Really? That's the best we can do?